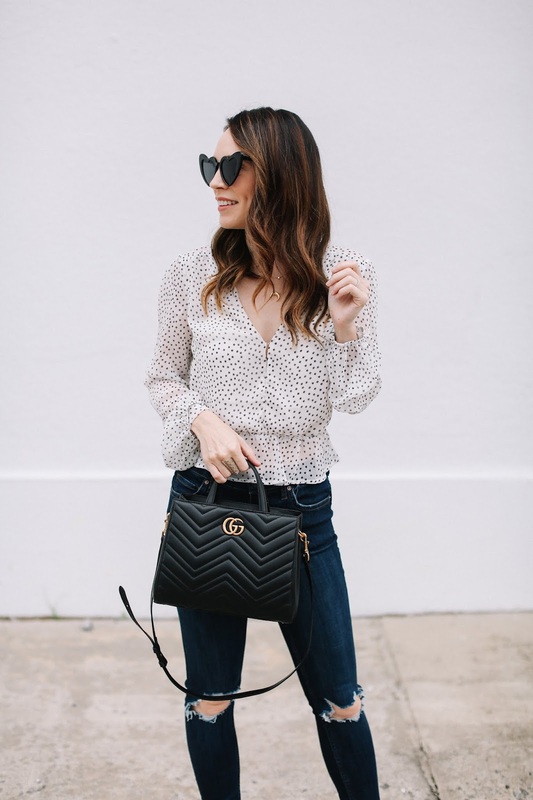 A blouse and jeans is always something I find myself going back to again and again. It feels so versatile and appropriate for so many different situations. 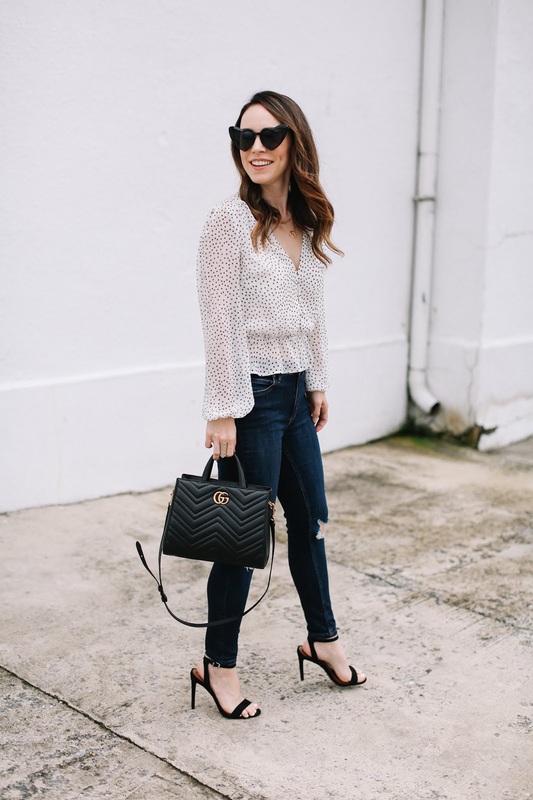 After living in NYC for many years, a blouse and a great fitting pair of denim (distressed or not) became a staple for me. I would think nothing of wearing an outfit like this to lunch (maybe a slightly lower heel), shopping, a meeting or a night out. 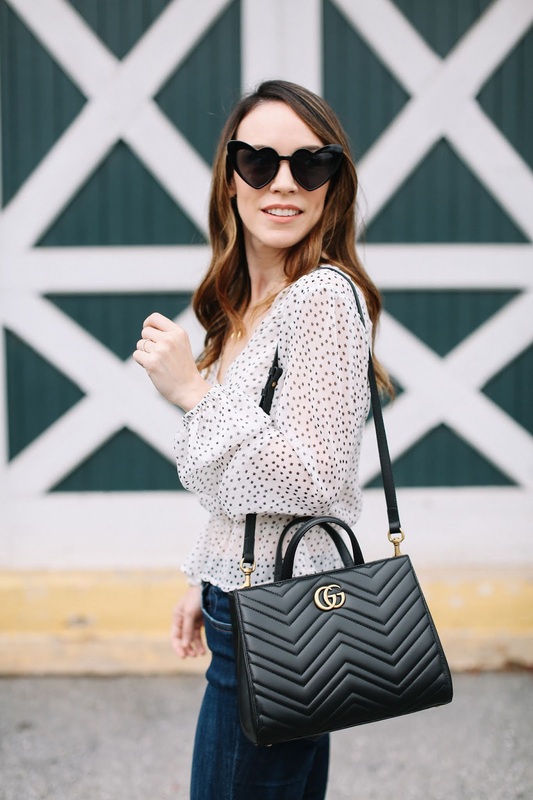 To me it feels casual and dressy all at once - which is almost how I would describe my style. I like to be casual and comfortable but still want a polished vibe overall whether that is with heels, my hair styled or makeup on. Which do you prefer? Do you like to be more dressy or more casual - or maybe both like myself?! Let me know!